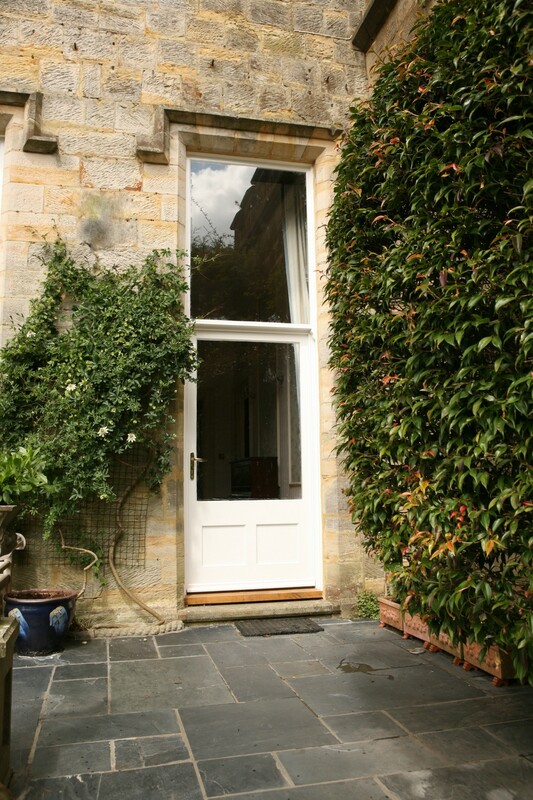 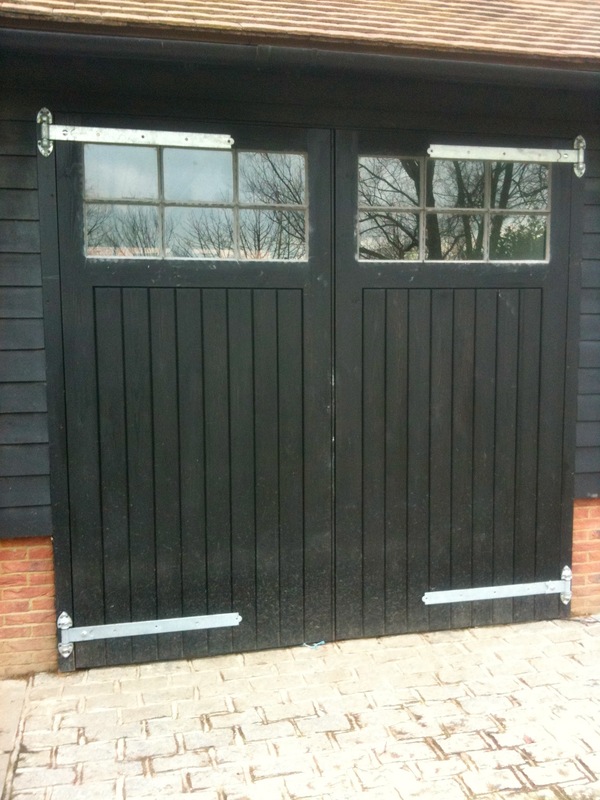 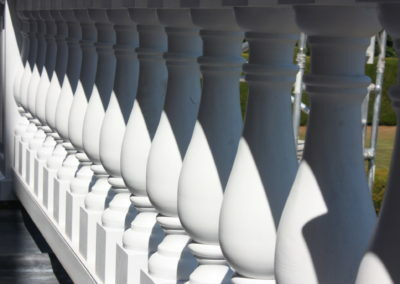 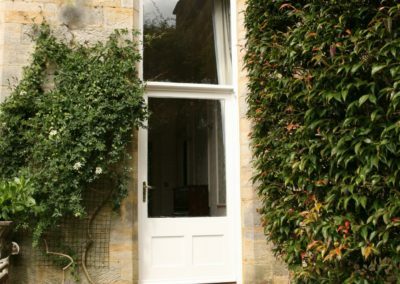 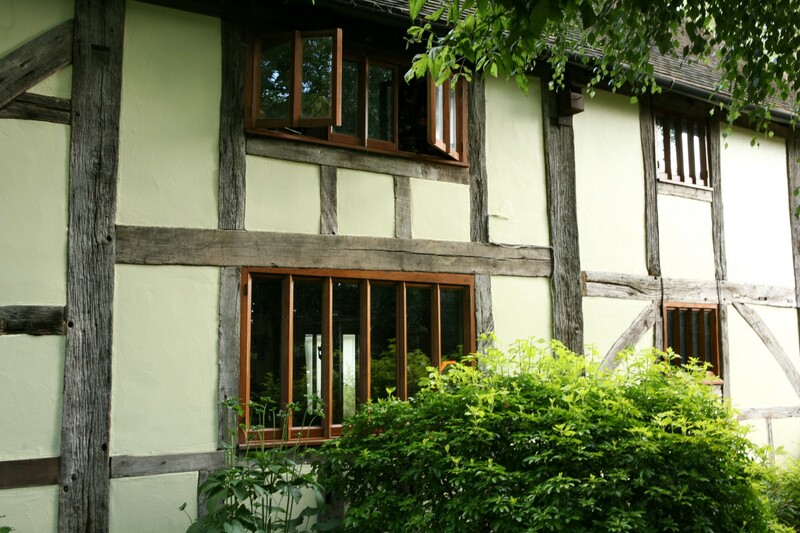 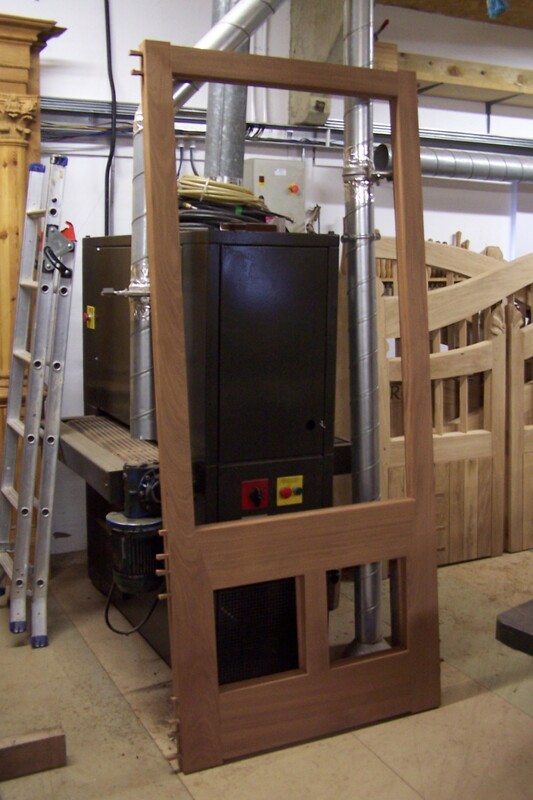 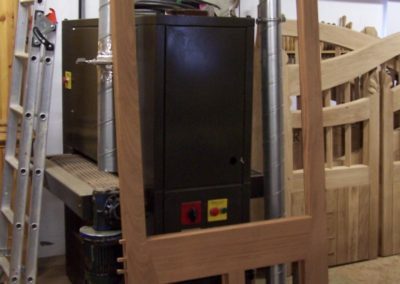 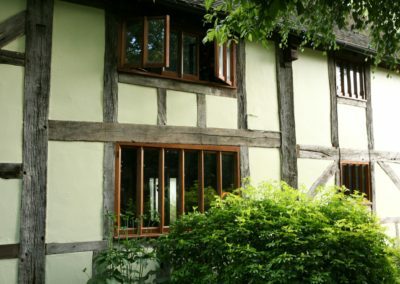 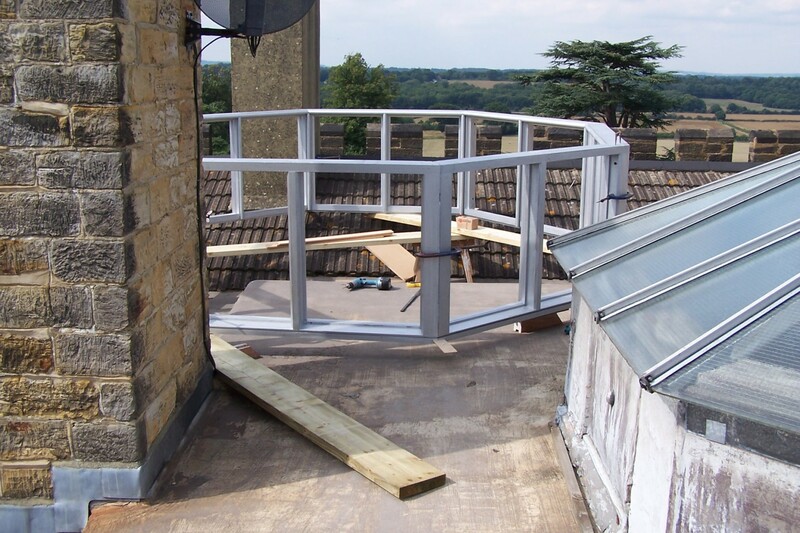 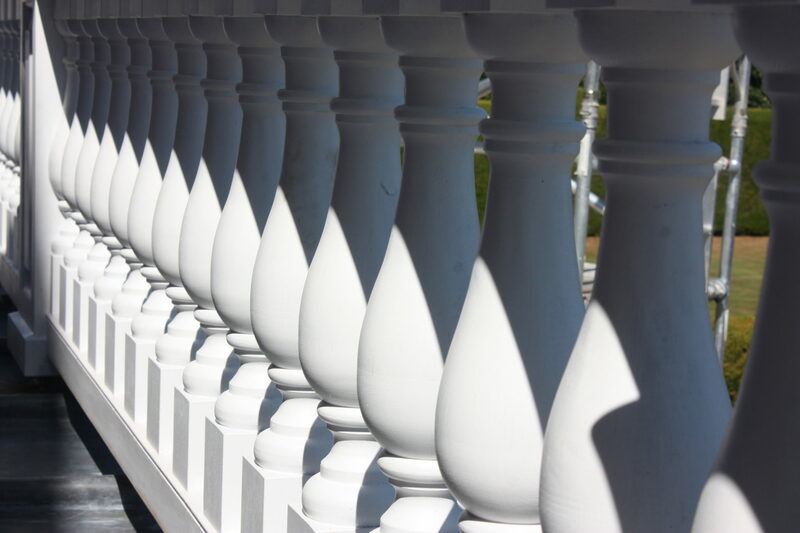 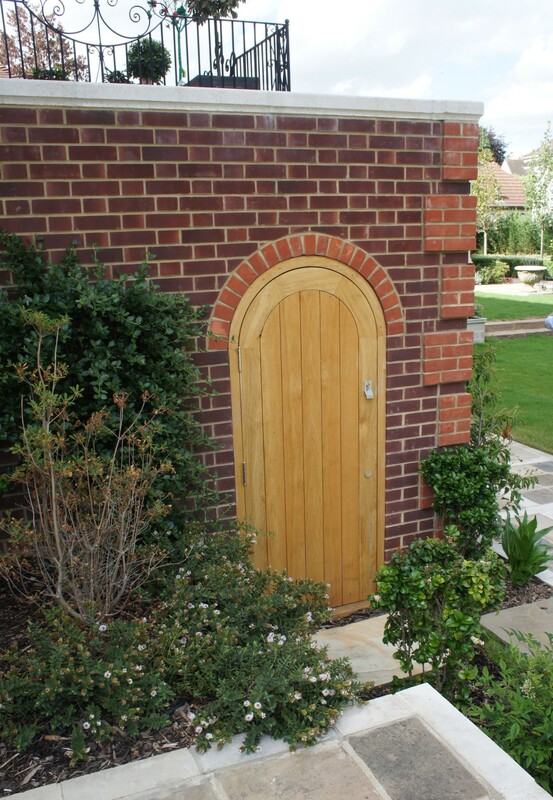 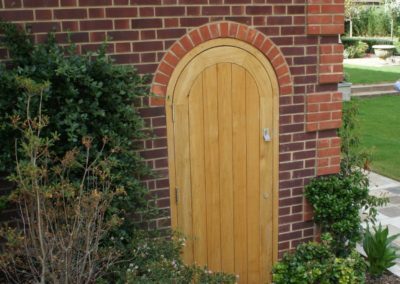 We make a variety of products for external use, from staircases , garage doors to bridges. 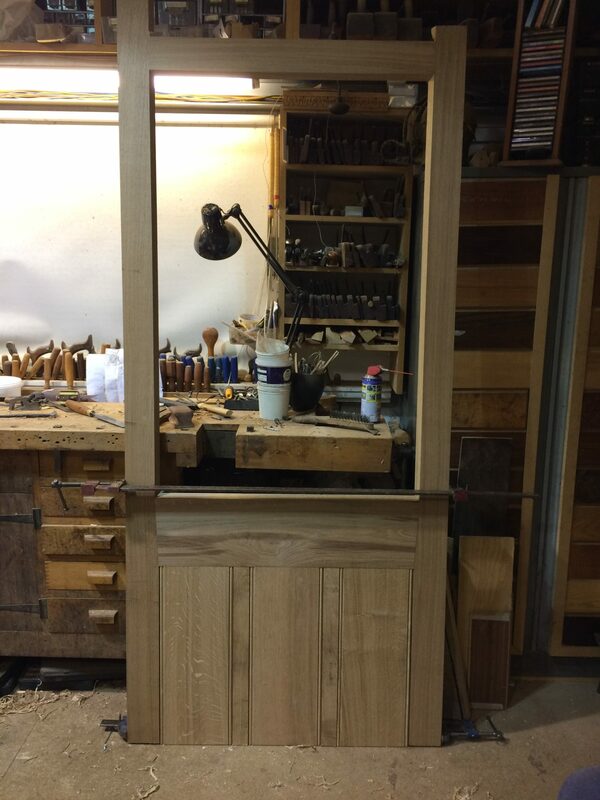 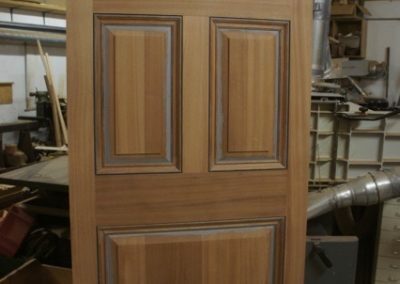 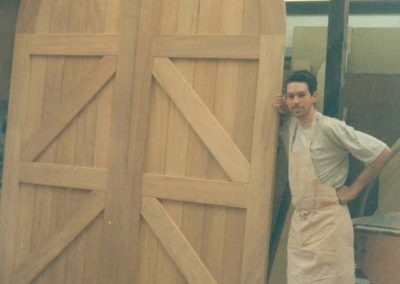 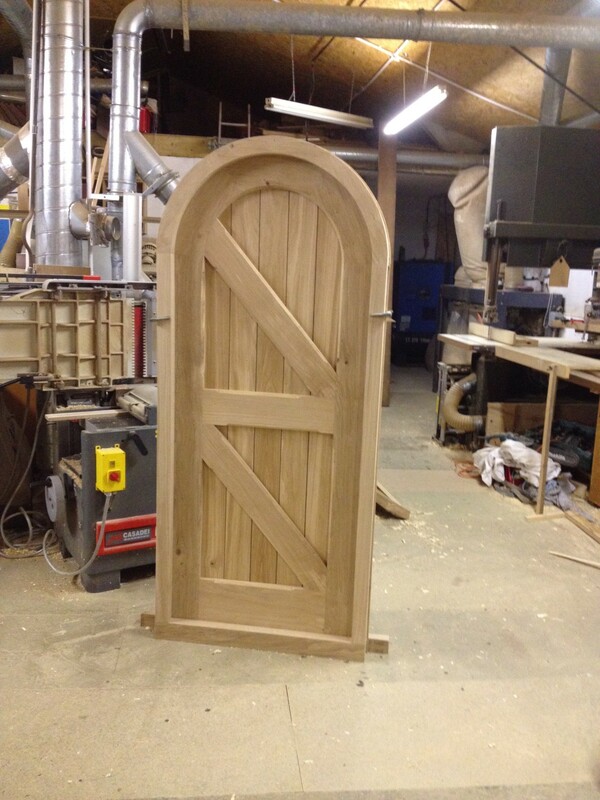 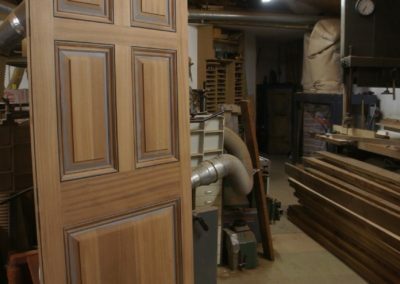 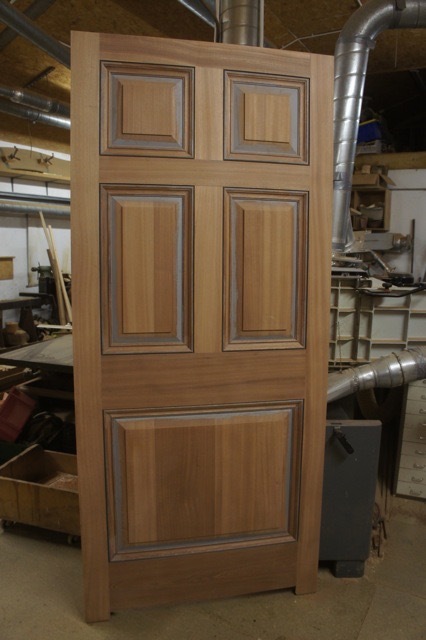 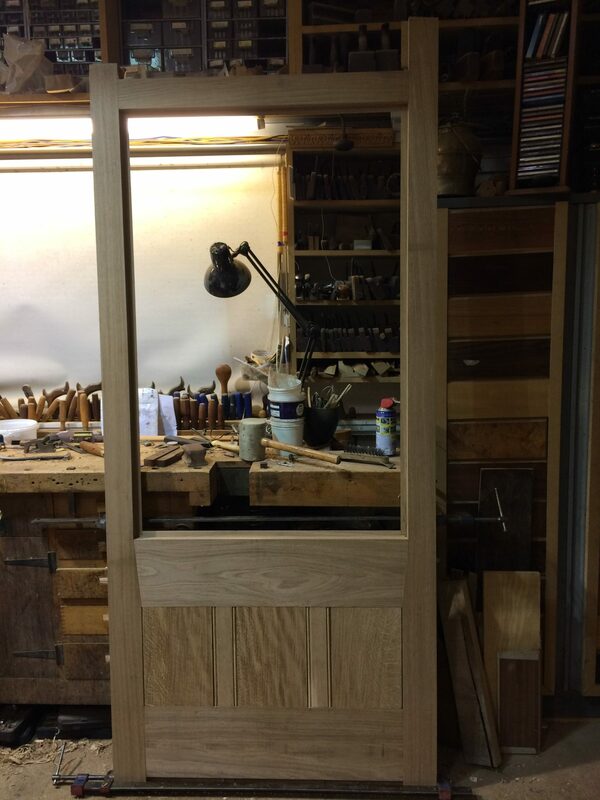 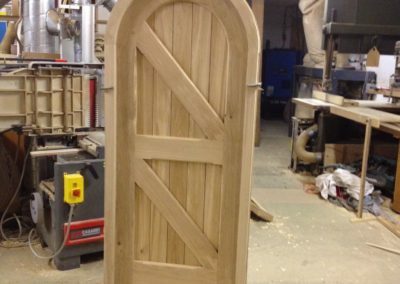 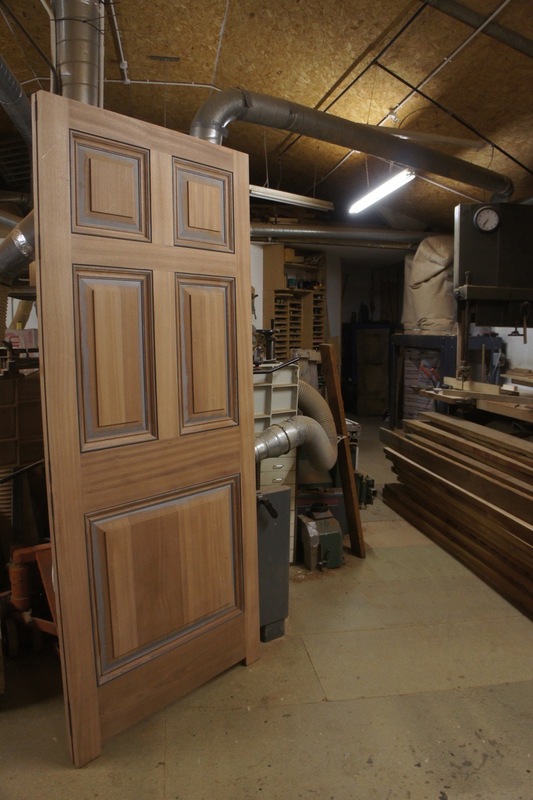 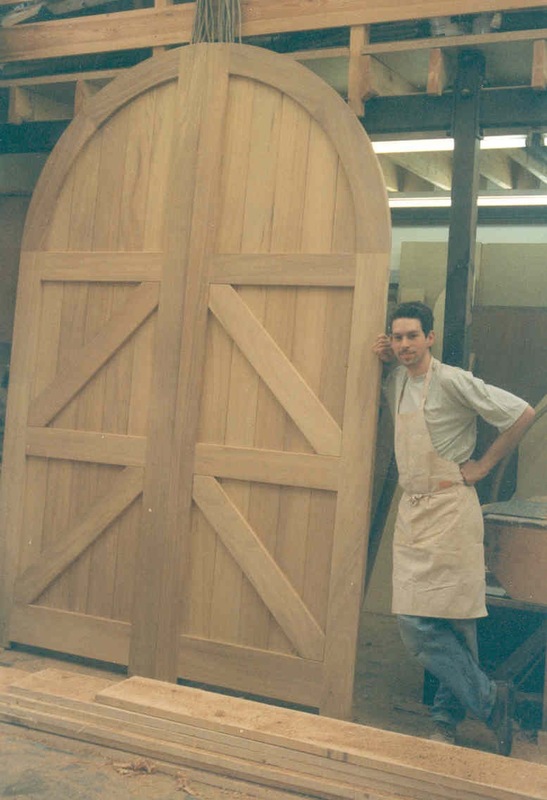 From period to contemporary .Our Skilled Craftsmen could help craft your ideas. 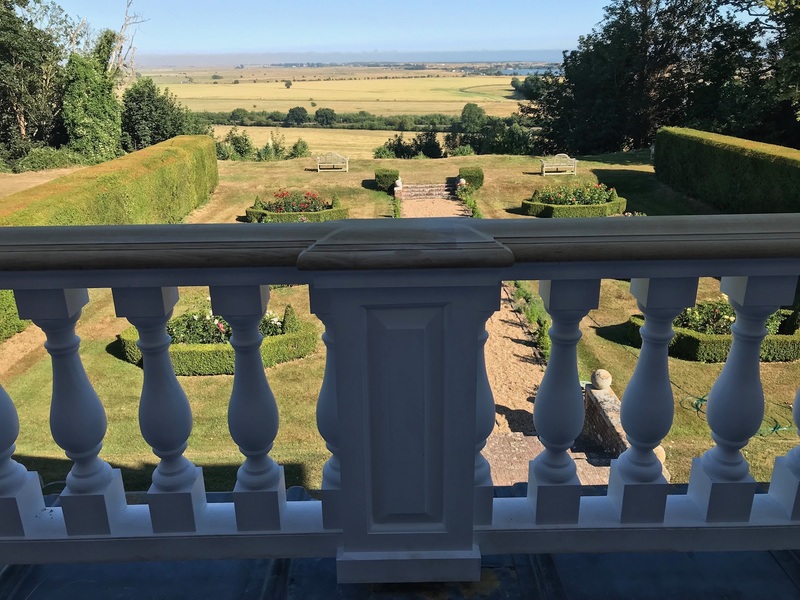 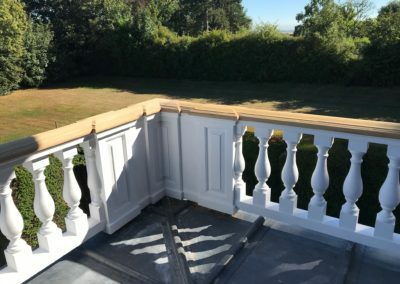 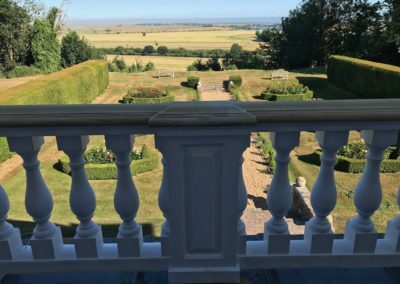 The Blomfield Balustrade and house was designed by the influential Architect, Sir Reginald Bloomfield in the Queen Anne style, the building was completed in 1905. The reason for S A Spooner’s involvement and chance of working at this splended property, stemed from a devastating fire which started in the Sun room which was directly below the main Loggia. 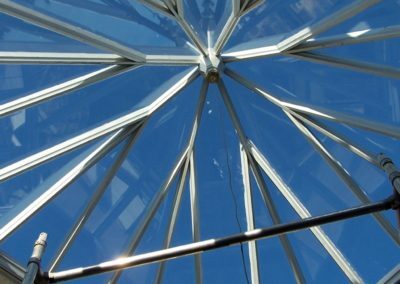 The sun room was a latter addion of poor design and build which was ill conceived. 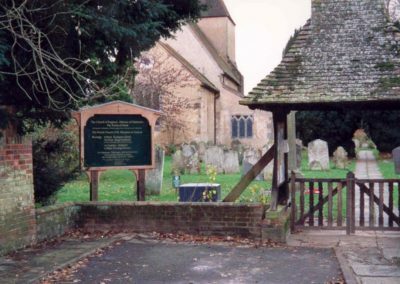 A kind decision was made to remove this from history! 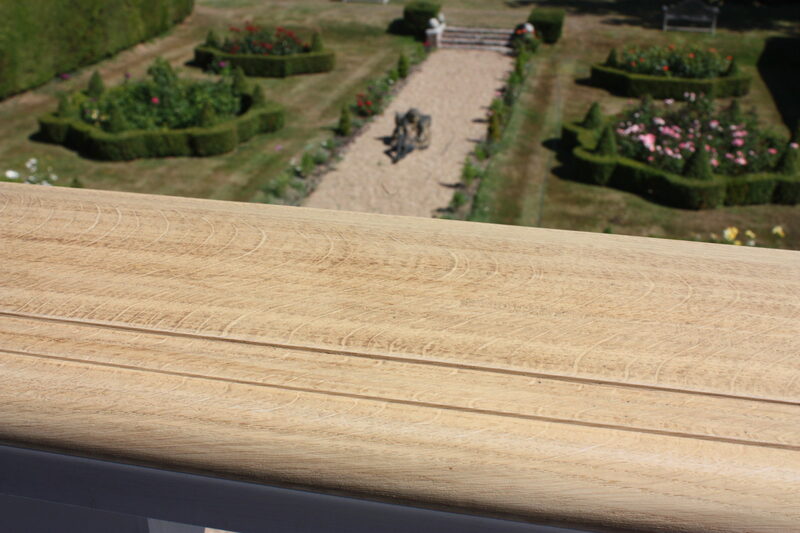 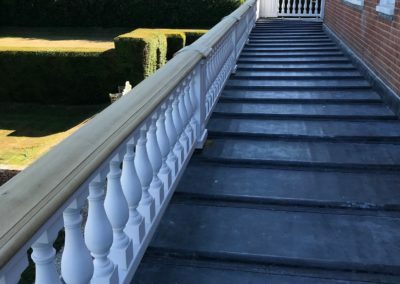 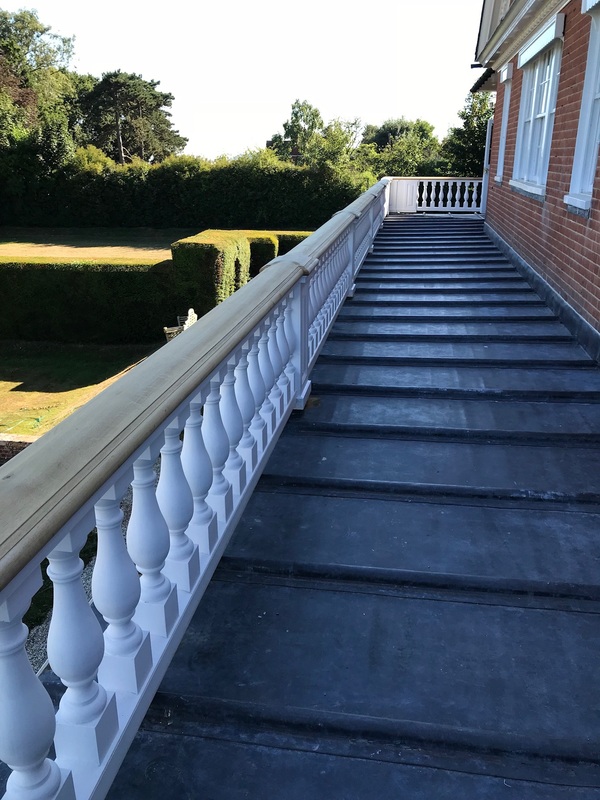 S A Spooner was commissioned to replace the remaining historic and craft new joinery to match, the complete balustrade including the hand turned spindles and carved handrail were manufactured by us and installed by us. 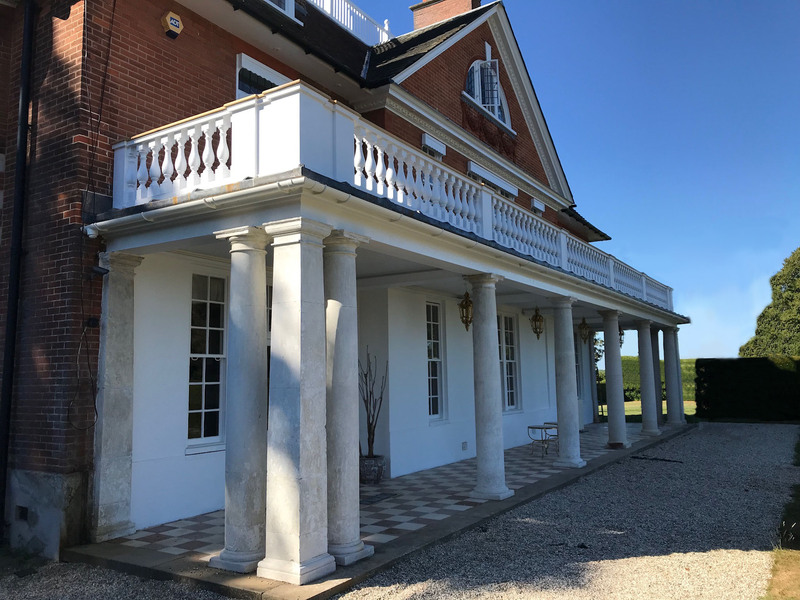 The historic portico on this property was in a terrible state when we were asked to visit the site. 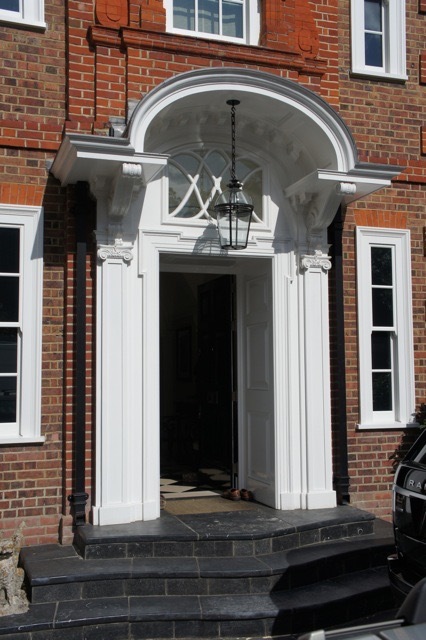 The Portico had been well made, however poorly fitted by the site carpenters. 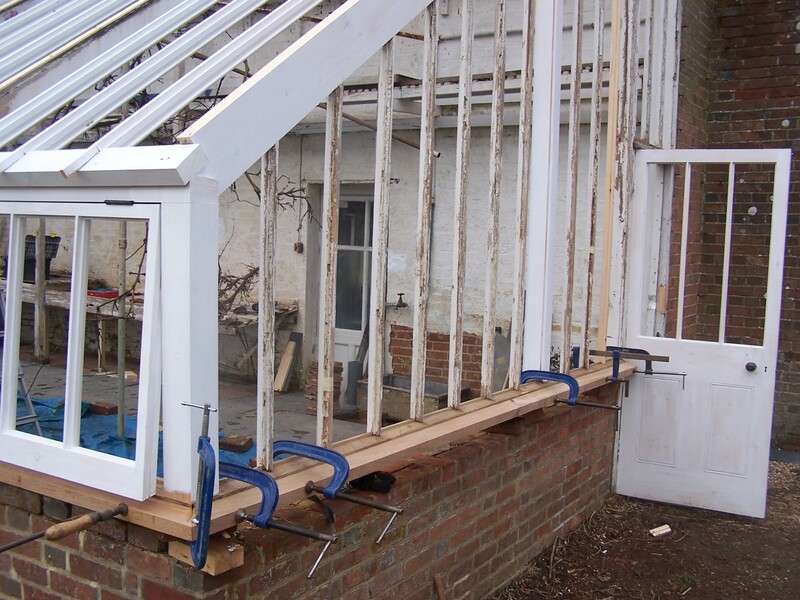 This had caused water to damage the joinery and the building fabric. 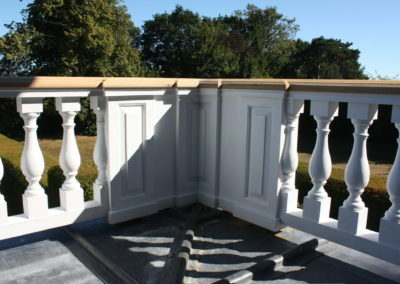 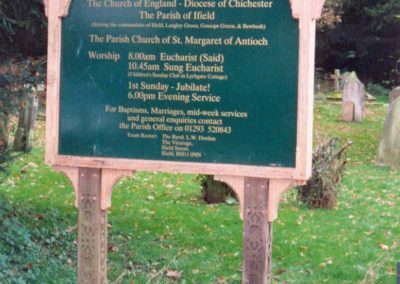 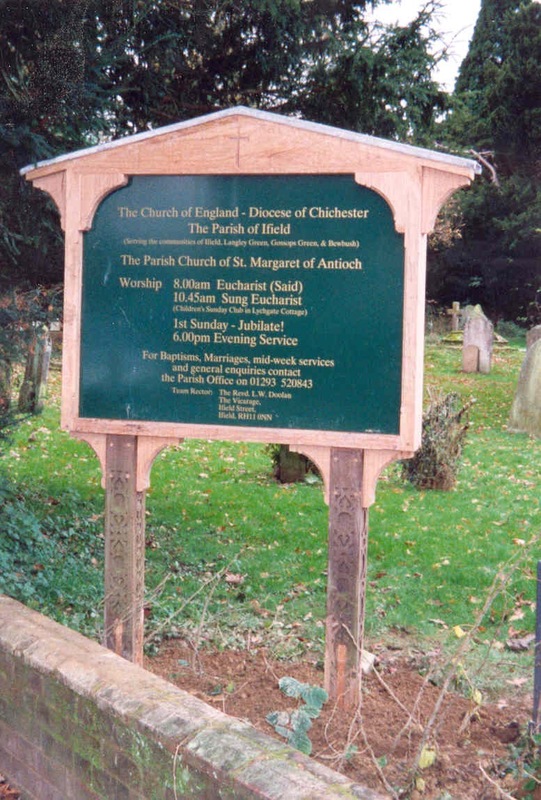 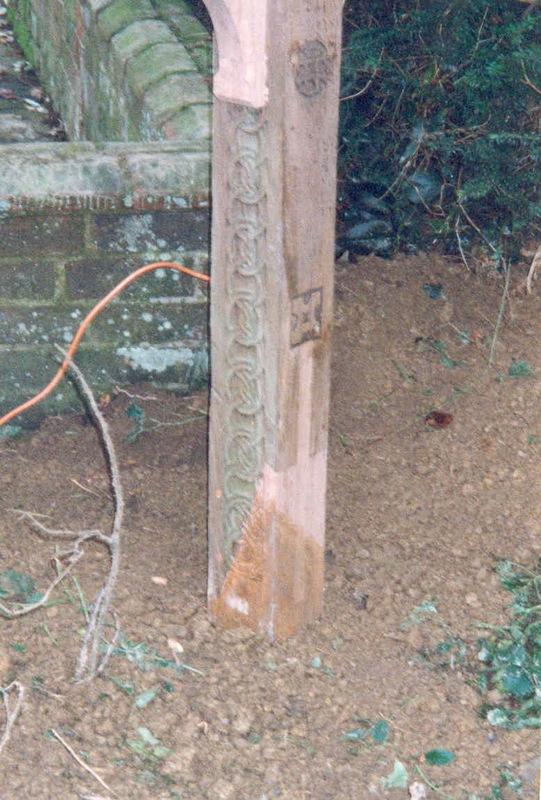 Originally the carved brackets would have had an allowance to go into the building fabric to counteract its own weight. 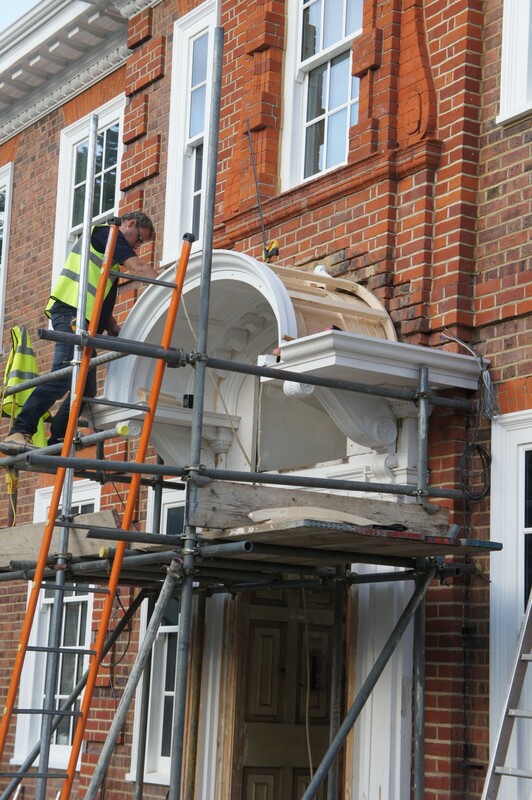 Unfortunately, these were cut off and the hood screwed onto the face brickwork. 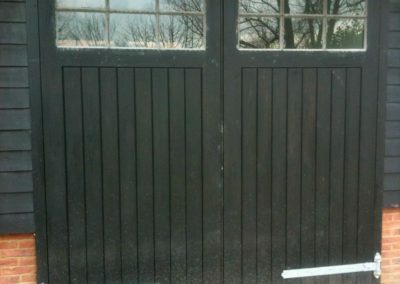 This meant that over time the hood had started to drop and pull away from the building. 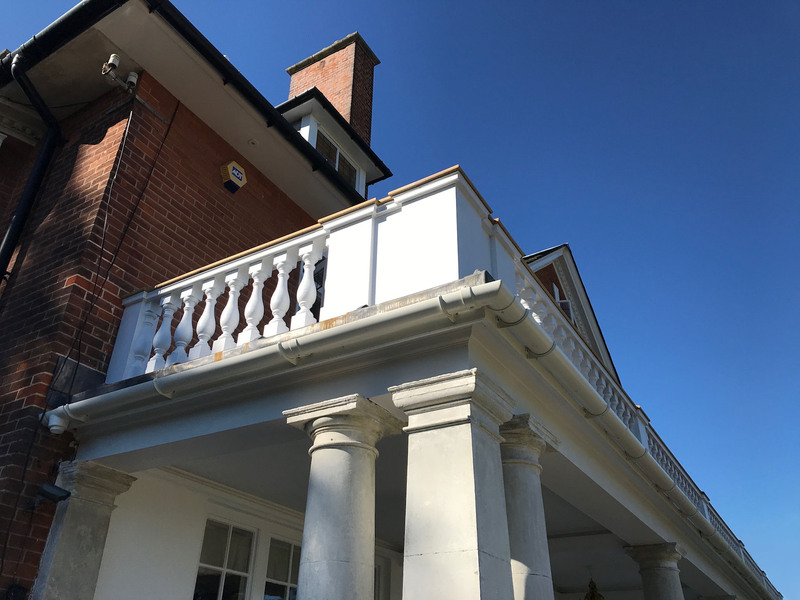 The brief for this project was to conserve as much of the portico as possible, to remove the old layers of paint and to remake where needed. 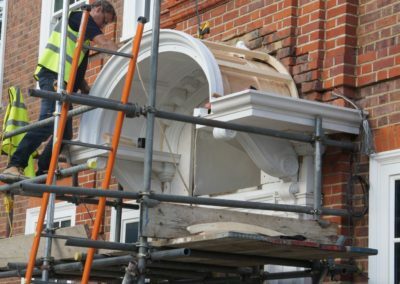 The architects had decided that because the hood had failed it was an opportunity to redesign the shape, they also felt that the old one was of an ‘unpleasingly odd form’. 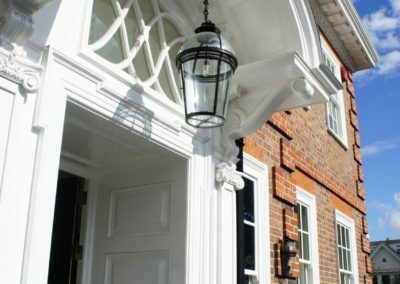 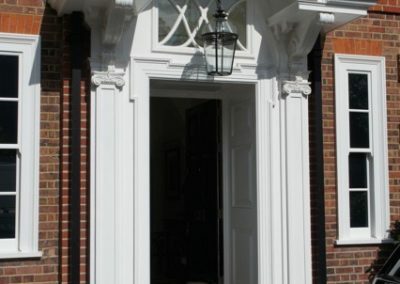 The scope of works included redefining original detail covered up by layers of old paint; conserve glazed fanlight; remake carved brackets; remake the main ground work lining: reconfigure the fitting of the portico to the building; to ‘future-proof’ its condition; to make a new panelled door and linings in hardwood. 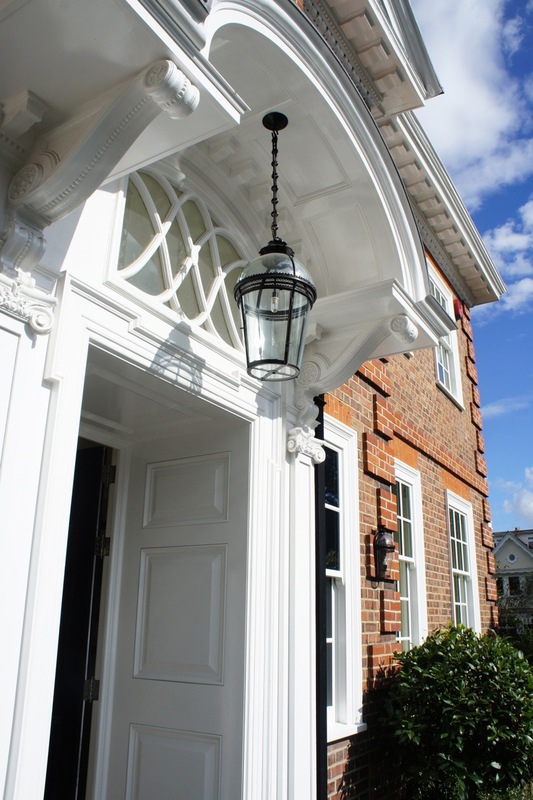 The portico and doors are south facing which needed special consideration and allowance for more than normal movement of materials. 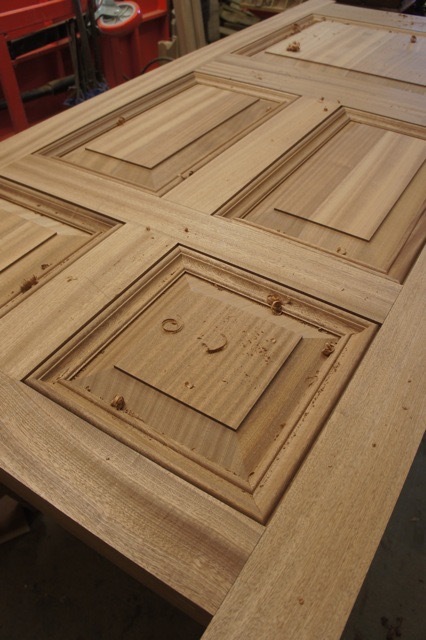 This commission came about as the result of water marks appearing on a dining room table. 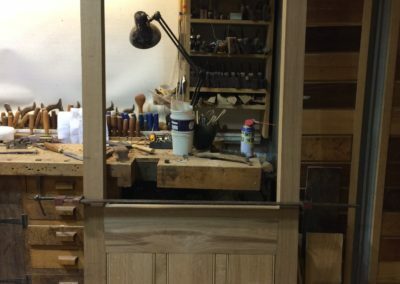 We were asked to visit this property by new clients to look at their dining table and the water marks that had appeared; the repair of which SA Spooner’s undertook. 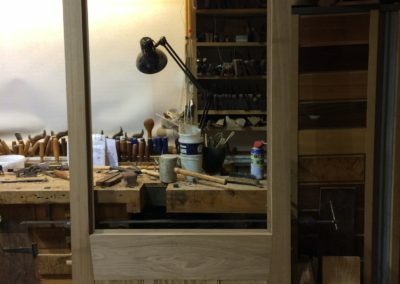 After working out that the only explanation for the water marks on the table was that water had dripped from a large roof lantern directly over the table. 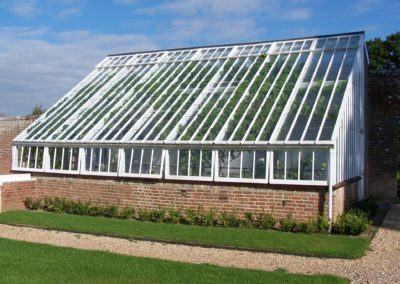 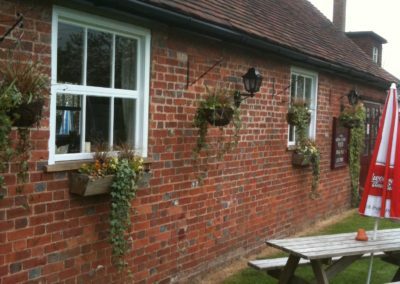 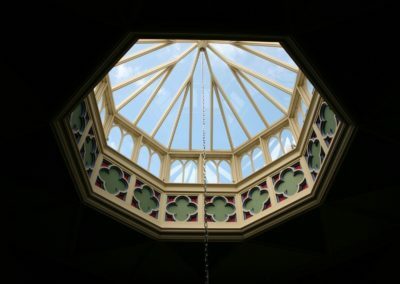 After gaining access onto the roof it was apparent that the roof lantern had failed due to its poor construction and from lack of maintenance over many years. 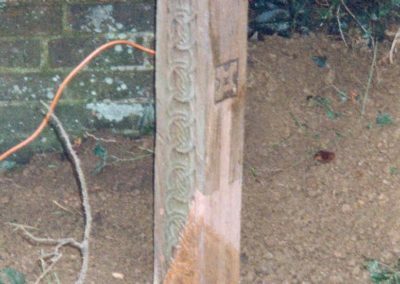 The lantern had been completely covered by lead which had split over time and allowed water to get in. 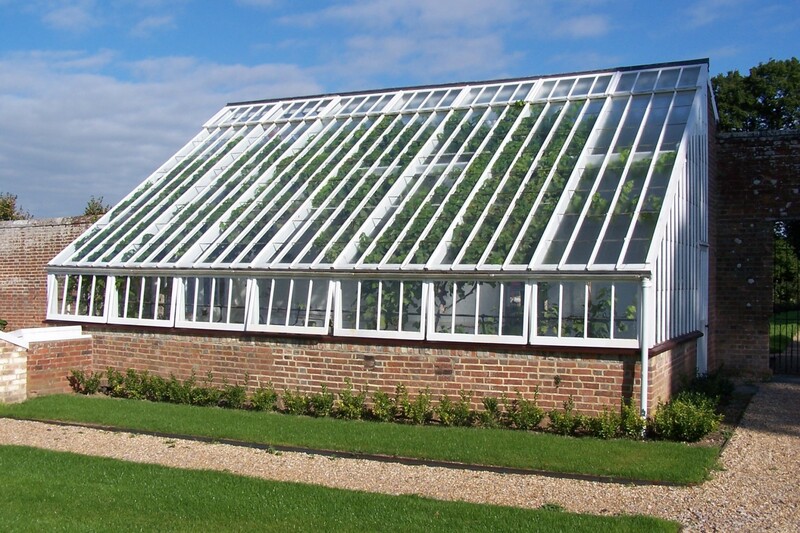 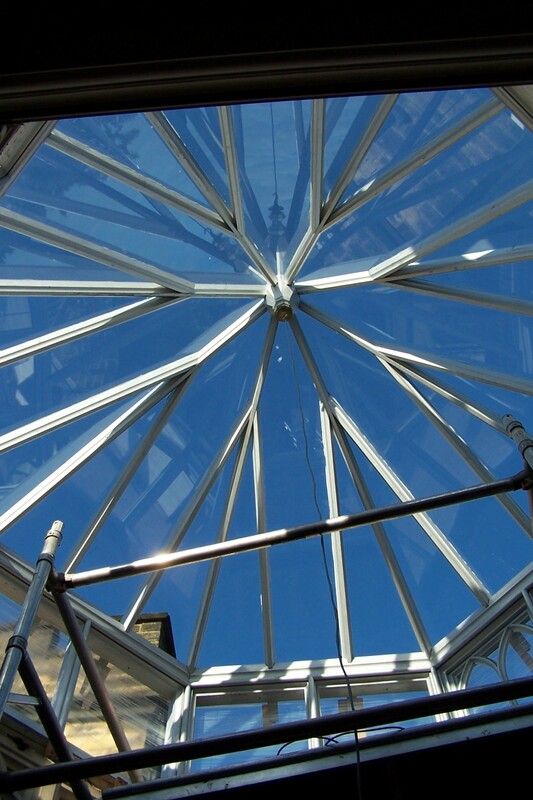 The subsequent scope of works was to remove the lead and to evaluate the roof lantern’s condition. It turned out that the roof lantern had failed in several places with gaps in the wall plate and gaps-moulded joists. 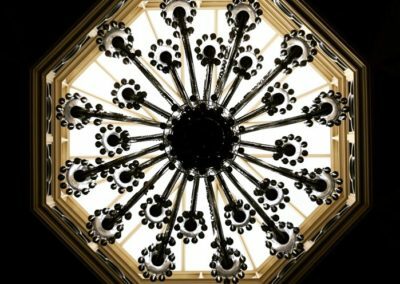 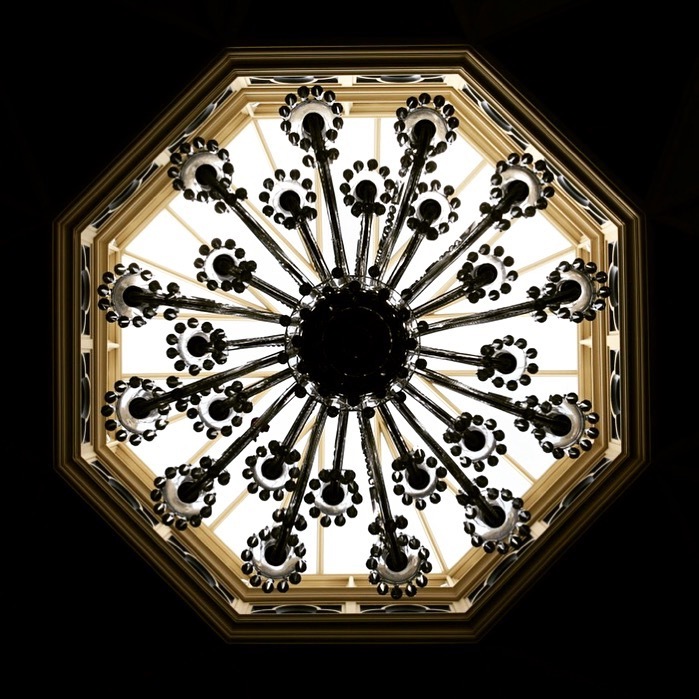 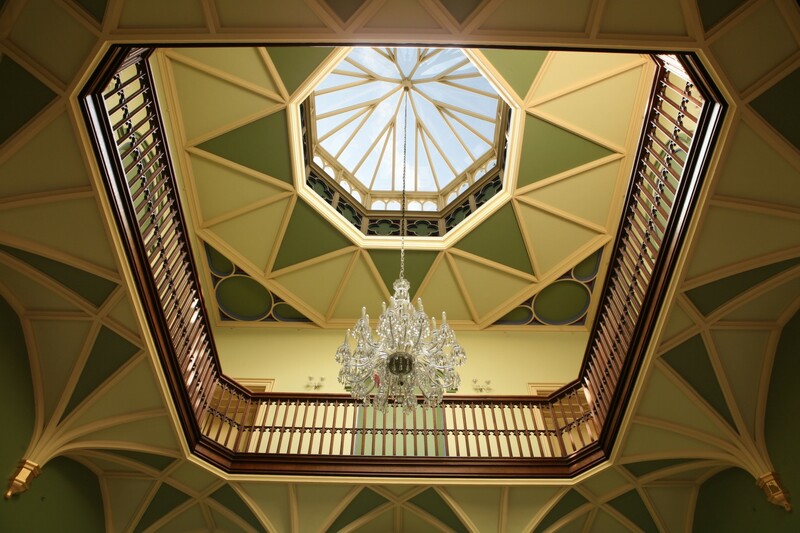 A chandelier suspended from the roof lantern was being held up by only three nails! 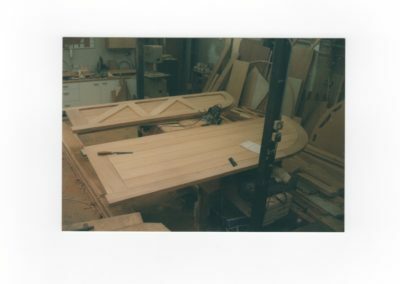 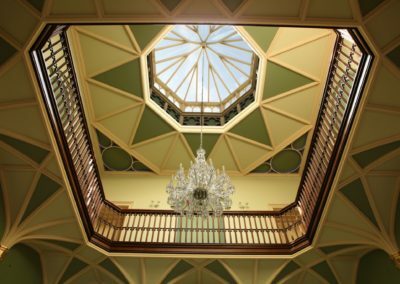 After inspection, SA Spooner produced measured drawings of the proposed replacement roof lantern, which once agreed with the owner, was manufactured in our own workshop. 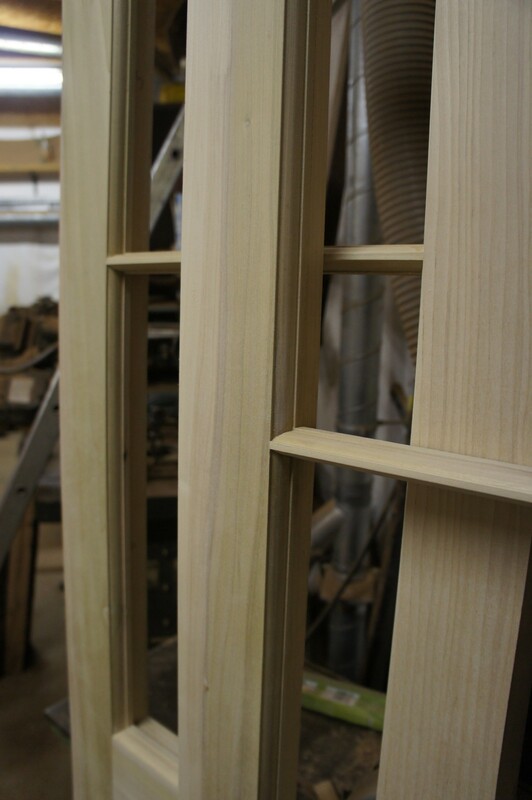 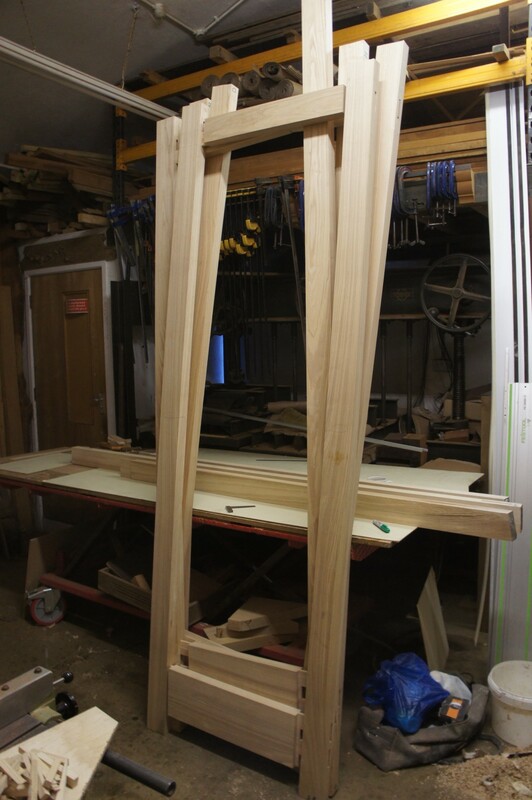 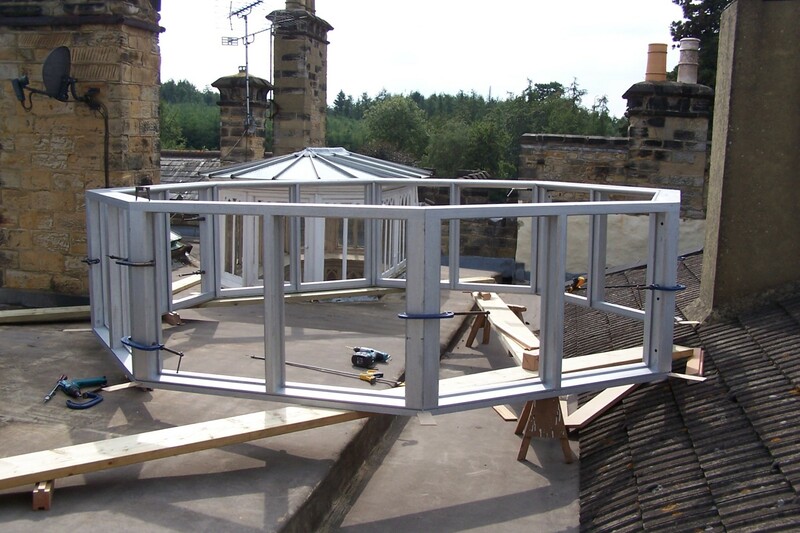 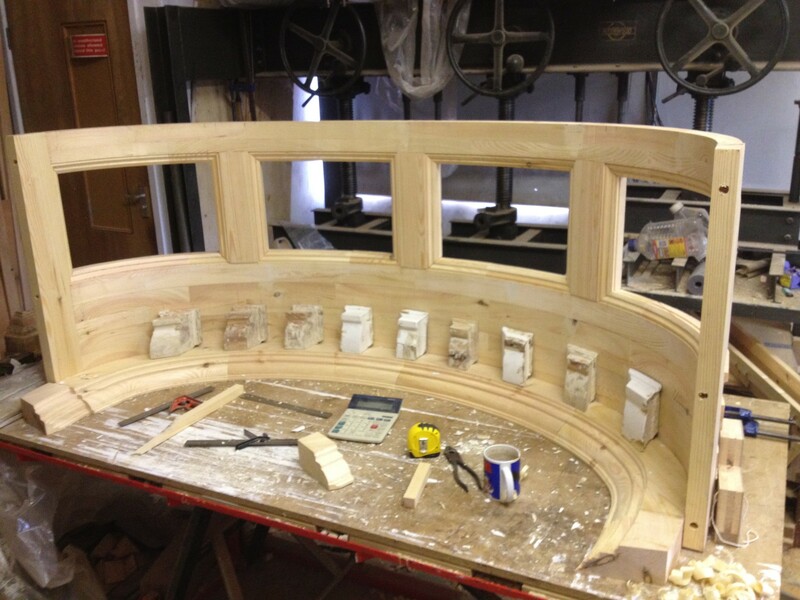 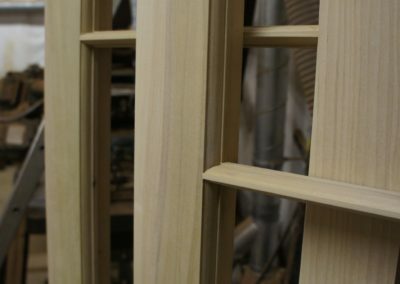 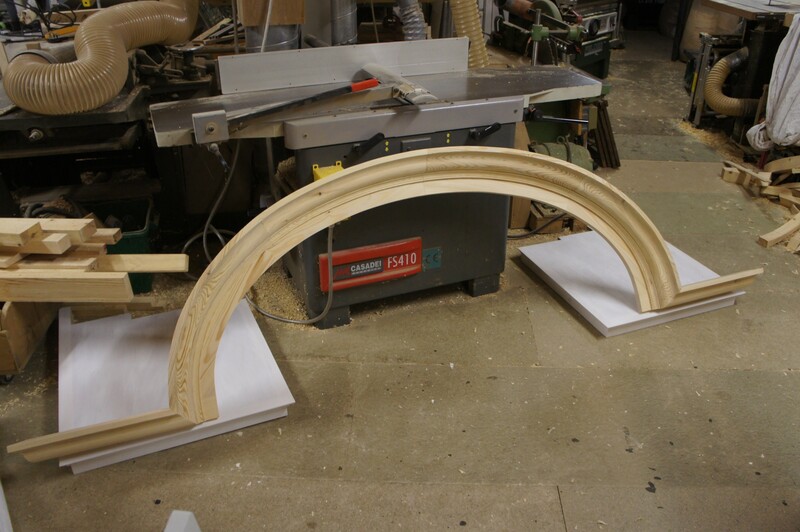 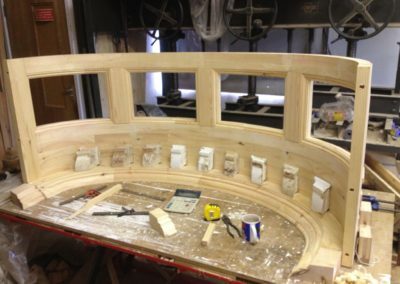 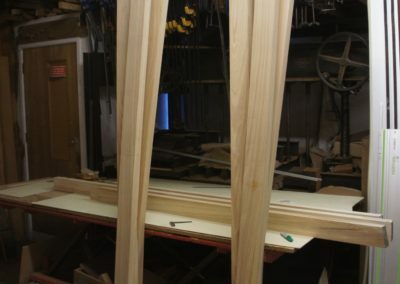 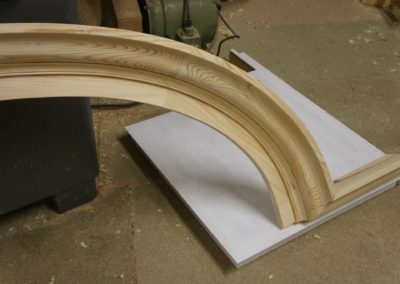 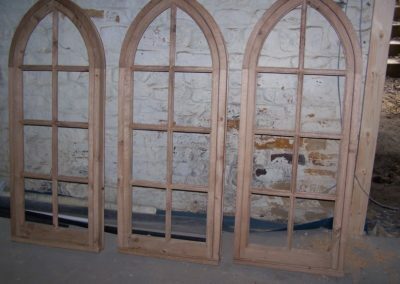 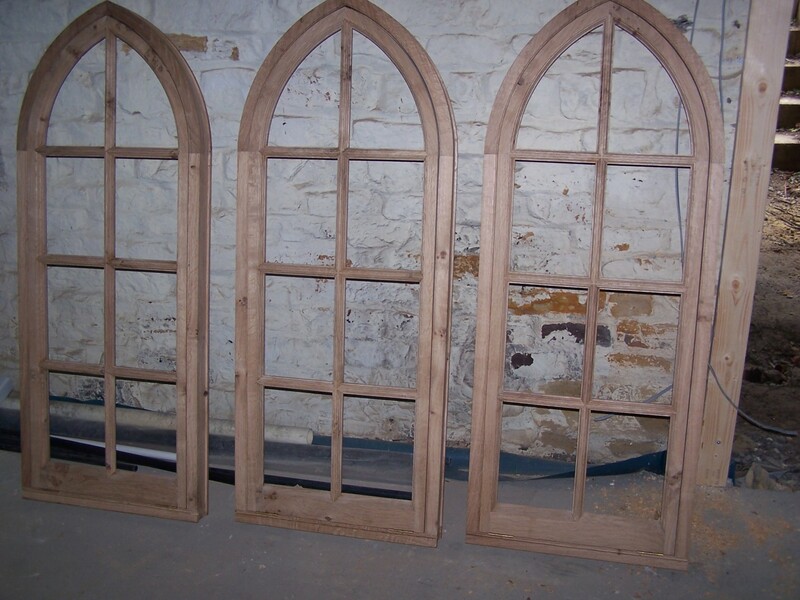 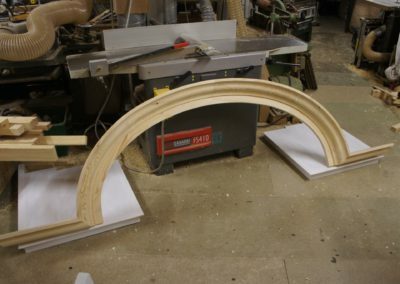 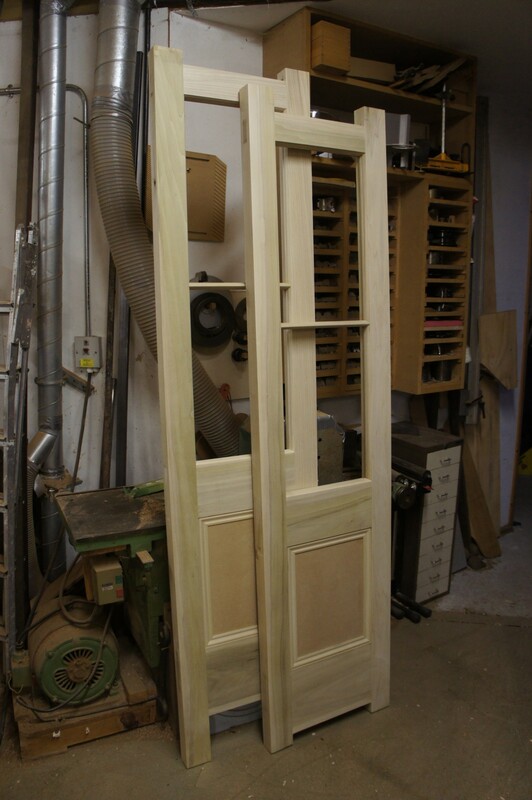 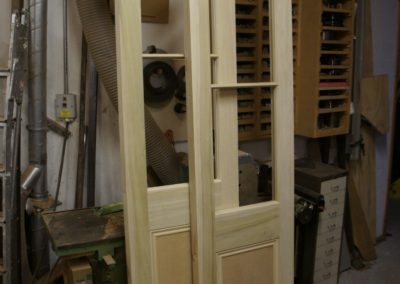 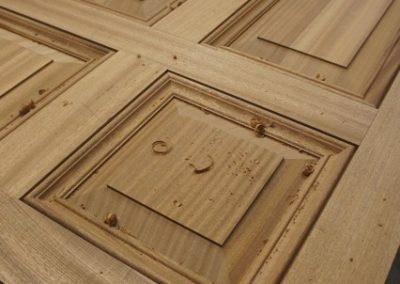 The frame pieces of the roof lantern were made from hardwood and primed before being transported to the site. 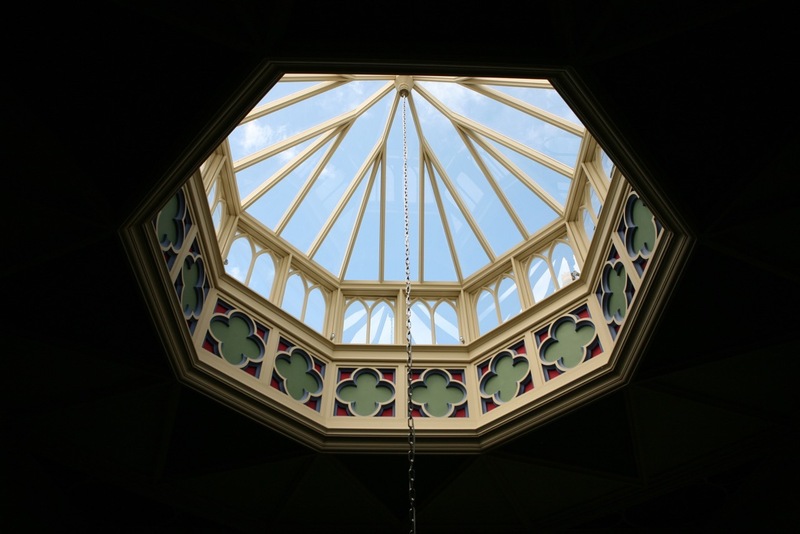 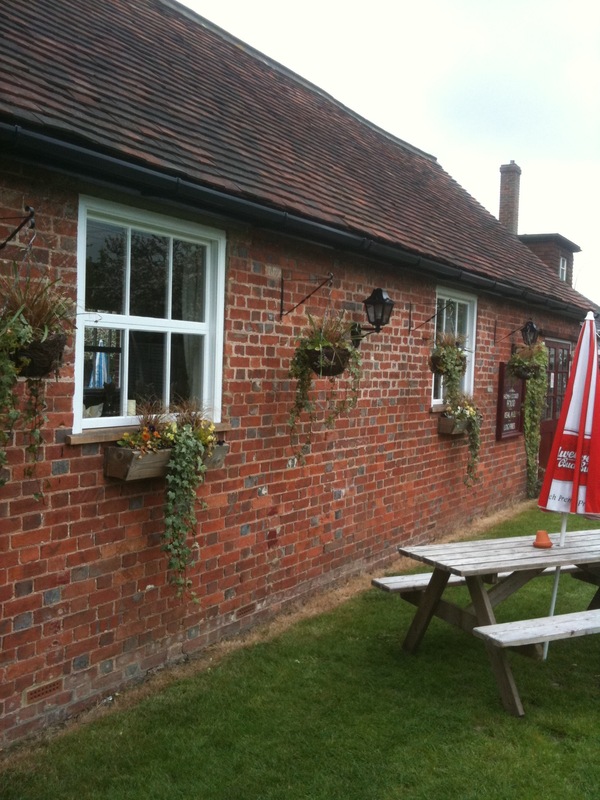 The lantern was then reassembled on the roof, fitted, painted and glazed by us. 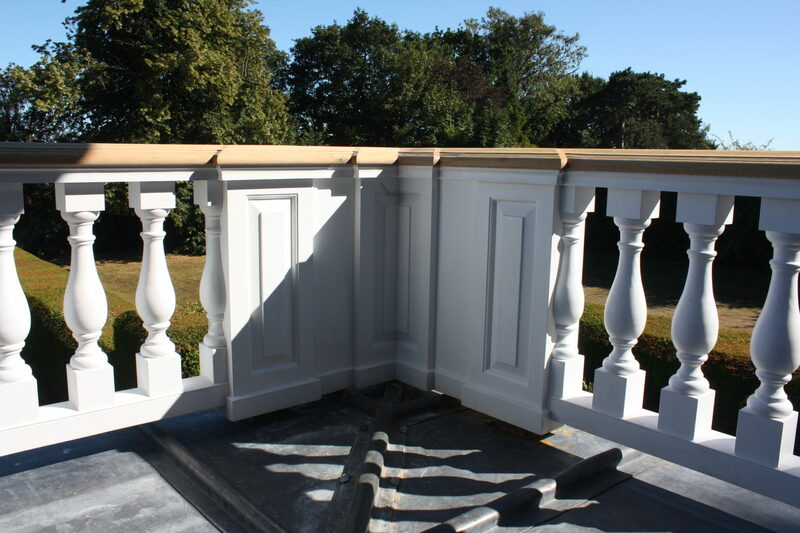 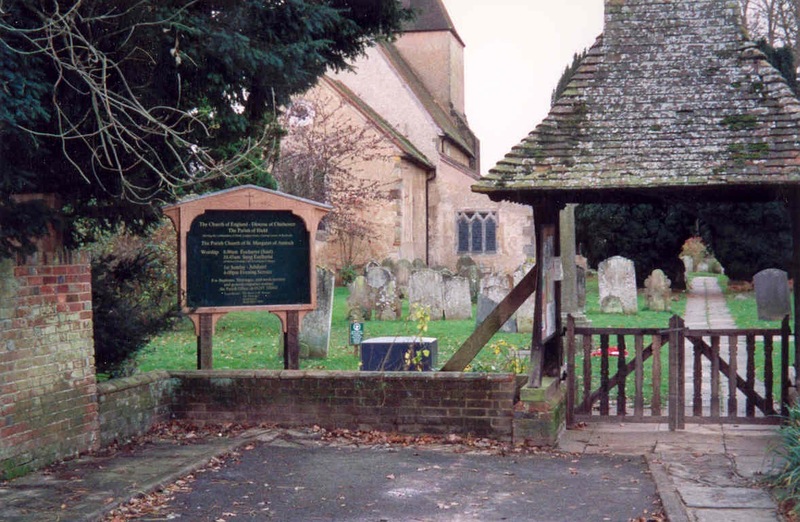 Restoration of the Gothic handrails on the landing in this picture were also restored of by SA Spooner.